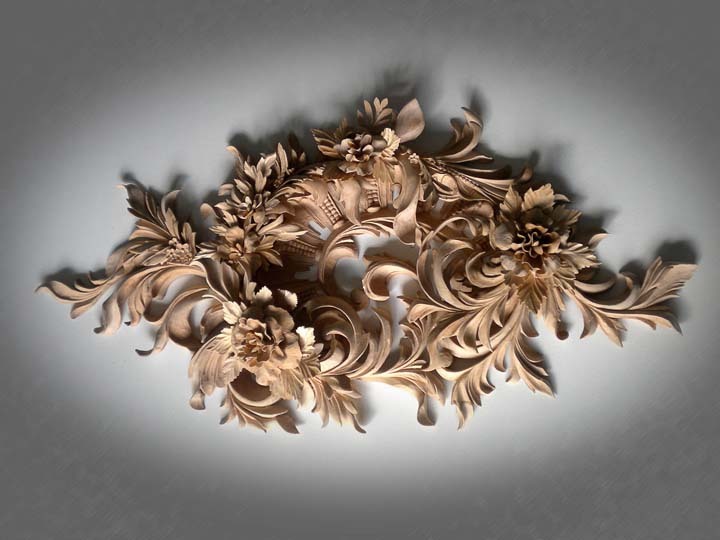 Today’s Follow Friday is woodcarver Alexander Grabovetskiy, who was featured in the Show Us Your Woodcarving section of our July 2013 Wood News. Alexander first discovered woodworking when he happened to find his grandfather working on a project in his workshop. His grandfather got Alexander doing his own woodworking right away by giving him his own chisel and mallet. This started a lifelong passion for Alexander who began studying the craft and working as an apprentice for Professional Carver Vladimir Tokarev when he was 16. Unfortunately, when he was 19, Alexander was arrested by the Soviet Union because of his religious beliefs and his refusal to join the army, and he was sent to jail. While in jail, he made use of his time there and was able to continue his woodworking skills making tables and kitchen sets. After 2 years in jail, Alexander was released with the help of Amnesty International, and with no job, he decided to start his own business and became a professional woodcarver. Alexander and his family immigrated as political refugees to the United States in 1996, and 2 years later, Alexander was able to start his own corporation, Aalmark. He has become notably famous within the woodcarving community after being named the Woodworker’s Institute.com International Woodcarver of the Year for 2012. Alexander works in a lot of different styles of carving including high relief, sculpture, and ornamental. He says he will try pretty much anything, just give him some wood and then he will carve something out of it. 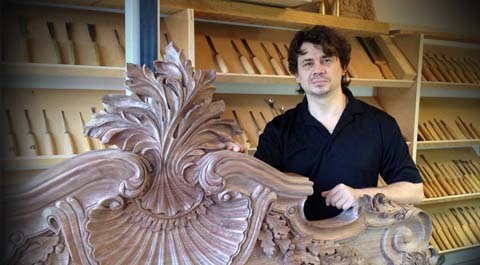 Alexander’s company, Aalmark, specializes in architectural wood carving, which includes moldings, capitals, brackets, fireplace mantels, doors, paneling, among other things. 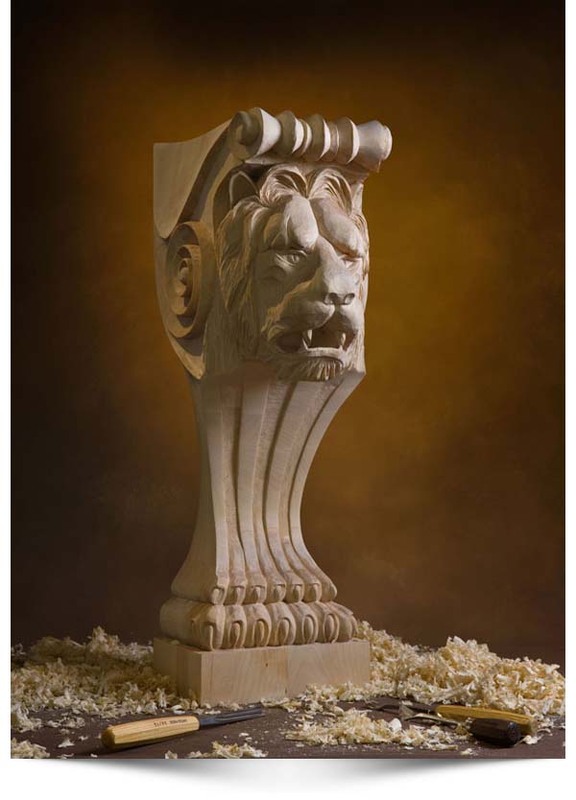 The most important aspect to his carving is that it is all handmade and created with the human touch. If you have any questions about his pieces or methods, feel free to email Alexander HERE. You can also view his website HERE. ———————————————————————————————————————————————————————- Fridays on the Highland Woodworking Blog are dedicated to #FollowFriday, where we use this space to further highlight a woodworker or turner who we have featured in our monthly e-publications Wood News or The Highland Woodturner. Would you like for your shop to appear in our publications? We invite you to SEND US PHOTOS of your woodworking shop along with captions and a brief history and description of your woodworking (Email photos at 800×600 resolution.) Receive a $50 store credit redeemable towards merchandise if we show your shop in a future issue.